Home » Giant Thoughts » Off the Beaten Path » Student Perspectives: Are You in the Redwoods? Student Perspectives: This blog series was written by San Francisco State University students for the Recreational Use of Parks and Protected Areas course taught by Dr. Nina Roberts in Fall 2015. The goal of Dr. Roberts’ blog assignment was to show how student support of redwood parks can create new ways to foster equal access to nature by diverse communities. For this assignment, each student visited a local redwood park and wrote about their experience. Enjoy! Are You in the Redwoods? Blood flowing through my veins as my face and body warm against the shaded woods, my heart rate escalating as I ascend the mountain trails, fresh air entering my lungs as I inhale; this is what inspires me when I am immersed into California’s national and state parks. As I trekked along Portola Redwoods State Park’s trails, I admired the beauty of nature and how the giant redwoods stretched towards the blue dome of sky without limitations. 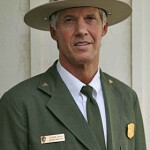 In a National Park Service Social Service Review in 1999, Floyd revealed from a Visitor Services Project that “90% of visitor groups [to national park units] were largely whites of European descent.” Your help is wanted and needed to increase the accessibility of parks to people of diverse cultures, backgrounds and economic statuses. National and state parks offer an experience that you simply cannot know from frequenting your local urban park. Serene naturalness, breaths of fresh air and lush trees abounding, and never-ending trails – what more can a person ask for? This begs the question, are you in the redwoods? And if not, why? The Save the Redwoods League education programs and grants exist to help “connect new generations of caretakers to redwood forests and teach them about why redwood forests matter and what needs to be done.” Save the Redwoods League suggests inviting schools, community leaders and families into the parks so that they feel more welcome. This is precisely what needs to be done – if feeling comfortable in the parks is the issue, you’re most comfortable with your friends and family, right? Get out and get involved!! These parks are here for YOU! Thinking about the different variety of holiday trees makes me think about the different conifers that share the forests with our mighty coast redwoods and giant sequoias. Often we concentrate so much on our magnificent state trees that we look past the other trees that stand tall next to them.